Stringer Pallets | Millwood Inc. 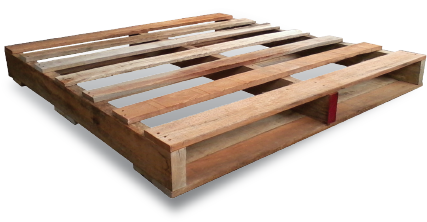 Wooden stringer pallets are the most common pallet available and in-use today. Fully customizable to meet your needs, our stringer pallets are easily repairable, reusable and recyclable. With Millwood, Inc., you will not find the one-size-fits-all approach commonly found in searches for stringer pallets. We pride ourselves on delivering the ideal, custom solution for your exact needs. We also use the Pallet Design System from NWPCA and Cape Pack, the load design software system from Cape Systems, to custom design pallets that optimize the performance of our customers' unit loads during shipment while minimizing packaging costs. Pallet Recycling: Millwood offers complete pallet recycling programs to retrieve, inspect, recover and remanufacture or repair pallets. Our recycled pallet and recovery programs include green disposal processes that complement corporate sustainability initiatives. PalletView: Our pallet management system helps you get the most from your assets and reduce your supply chain costs. We understand that it's important to know what assets you own, where they are located and their current condition.